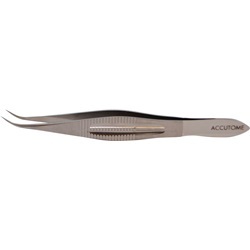 Curved shafts and tips, smooth, delicate jaws, tying platform tips. Wide serrated handle. Overall length: 108mm.